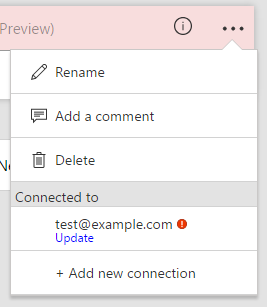 In the past two weeks we've introduced a few new features to improve the connectivity and power of Microsoft Flow. 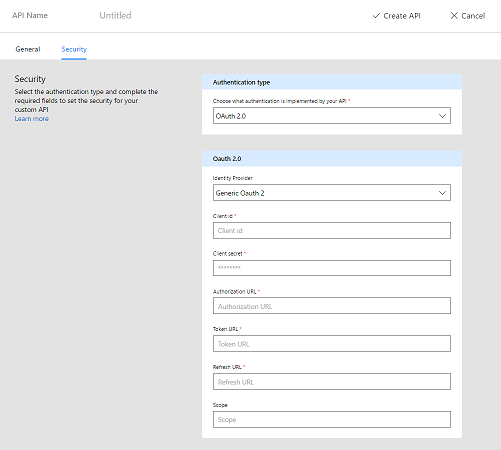 Read more about Custom APIs here. Basecamp 3 – a tool that helps teams work together. It provides a dashboard to manage all messaging, document collaboration, scheduling and task management together in one place. Blogger – a blog publishing service. It allows you to create websites and post to them on an ongoing basis. PagerDuty – a help desk tool used to manage and dispatch service requests within support teams. One of our focuses in the past few weeks has been to improve the performance of the flow designer. Creating and editing flows should now be much faster and smoother than it was before. Third, we have added a new step called Terminate that you can use to end a flow's run. This will be useful when used inside a condition, for example, you can do a series of checks and only continue the workflow if all of these pass. Finally, when you are looking at the run history of a flow there is a convenient Edit button that takes you directly to the flow designer.